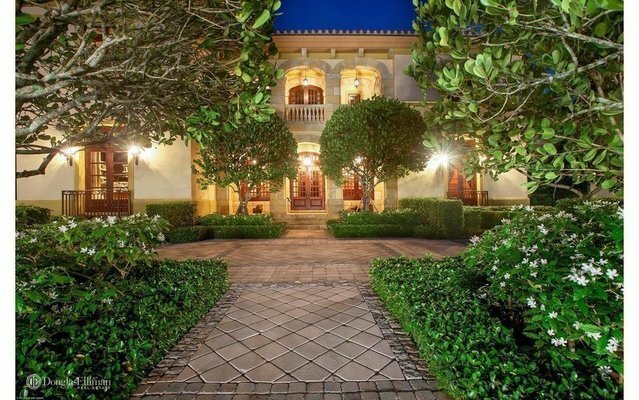 Custom designed home with immense green space on two lots totaling 1.39 acres in desirable Palm Beach Polo Club. Located in the quiet Bridle Path neighborhood and backing up to gorgeous views of a Cypress Tree Preserve, there is no end to its peaceful feeling of serenity. The house is designed with an abundance of living areas, sitting areas, patios, large kitchen plus butler's pantry, and outdoor space, making it ideal for entertaining. A guest house can easily be added, leaving more than enough open, green land on this lot. Measurements are approximate.